Dense shrub rose of arching habit. Dark green leaves. 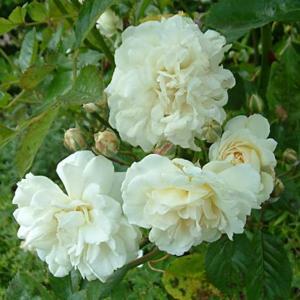 Large clusters of double, rosette-shaped, fragrant, creamy white, slightly pink flushed flowers, from summer to autumn.